Research Center Trend is one of the leading independent sociological agencies on the Bulgarian market. It was founded in 2016 and is a member of the European Society for Opinion and Marketing Research (ESOMAR). Our main activities are in the fields of marketing research, opinion polling and social research, as well as other related consultancy tasks. We have an interview network across the country with more than 250 interviewers and 27 regional supervisors. Research Center Trend is distinguished by the individual approach to the needs of every customer. Our primary goal is to offer the best tools for conducting research and analysis. The team of experienced professionals at Research Center Trend strives to identify and provide answers to any questions that are important to our customers and their business. We have successfully introduced a new trend in public research in Bulgaria by focusing on the social and public issues that Bulgarians have been facing. Our ambition is to continue the good traditions we have inherited and to build on a new vision and modern practices in conducting various research activities. We work closely with a network of highly qualified experts, analytical units and agencies, both in Bulgaria and internationally. 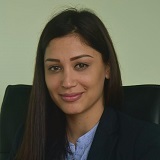 With extensive experience in electoral, social and marketing research. Doctor of Political Science. Expert in the field of political research and analysis. 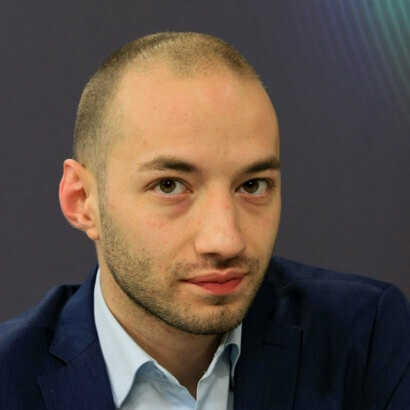 With experience in the analysis of the Bulgarian political process and consultancy of pre-election campaigns. 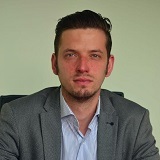 He has participated in various political research projects concerning the Bulgarian transition period. Copyright © 2018 Research Center Trend Ltd.